Significantly more school districts were able to survive fiscal year 2017 with less borrowing than the previous year. The reduced long-term borrowing for operations was the top finding from the Illinois State Board of Education’s annual financial profile report. The ISBE analysis also shows more districts than last year obtained the best designation, “financial recognition,” but more also fell into the worst designation, “financial watch list” status. Increased school funding and limited growth in expenses drove the increase in financial recognition of districts. Specifically, rising property values helped boost levy and debt capacity, while state aid was increased by $380 million during fiscal 2017. But spending on district operations was largely held in check, rising just 1.6 percent. 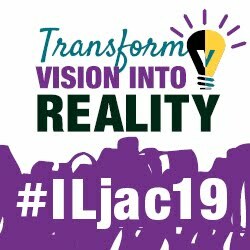 The adoption of the Evidence-Based Funding bill last year – sweeping bipartisan legislation that revised the school funding formula – gave ISBE some optimism that the positive trend can be sustained into next year’s financial profile. The report said the new funding plan provides new money to cover increased funding for some school districts while holding harmless wealthier districts. With state aid and economic factors turning upward, and with real estate values also perking up, there may be more good news for school finances this year. But the 2018 profiles show inadequate resources for many school districts, with the majority of districts in financial recognition now having less than 75 percent of the statutory definition of adequate resources, according to preliminary Evidence-Based Funding calculations. ISBE places school districts into four categories of financial health based on a scoring system that evaluates several key metrics: the district fund balance-to-revenue ratio, expenditure-to-revenue ratio, days’ cash on hand, and the percentage of remaining short-term and long-term borrowing capacity. 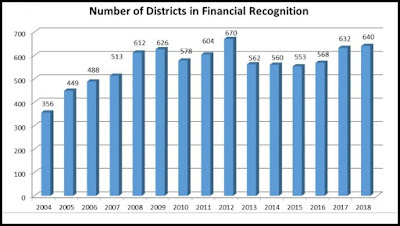 In all, 640 districts earned “financial recognition,” the second-highest total in the 15-year history of the financial profiles, up from 632 in fiscal 2016. Meanwhile 147 districts are in the second-tier category of “financial review,” a decrease from 154 counted the previous year. 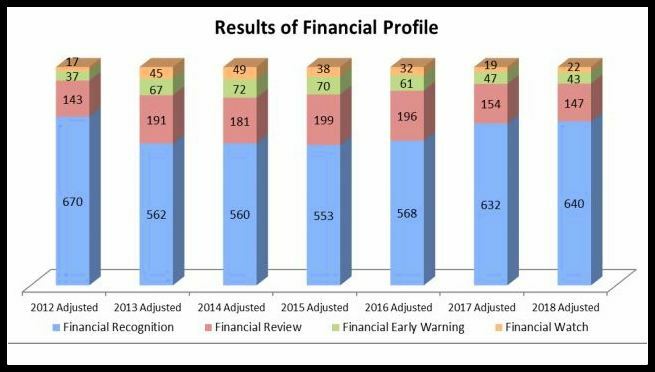 Just 43 districts were designated in the “financial early warning” category, down from 47, while 22 districts landed in the “financial watch” category that can sometimes lead to state intervention, increasing from 19 districts. The amount of the long-term debt school districts issued for operations declined by $83.5 million, with a total of $369 million, an 18.4 percent decline. Although the number of Illinois school districts in the most-endangered watch category rose, the report saw big improvement from fiscal 2016 to 2017, with eight of the 19 districts that made the 2016 list moving out of the category in fiscal 2017. 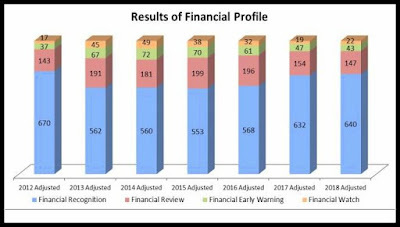 Six districts that remained in the watch classification saw some improvement in overall financial scores, although not enough to improve their designation. Typically, school districts on the financial watch list rely heavily on state aid. The number of districts that relied on deficit spending to get through the school year decreased, dropping to 344 from 382 in last year’s profile. That number is projected to jump in the current fiscal year – and to be reflected in next year’s report – rising to 388, based on estimates submitted by districts. The state is holding out hope that the number will shrink once the new funding from the overhaul is accounted for. “It is hoped that the new EBF formula will have a positive impact on district finances and educational programs with more districts realizing improved finances than what the budgets are projecting,” the report stated. For more information, see the 2018 School District Financial Profiles.